With over four decades of design and manufacturing experience – coupled with simultaneous in-the-field testing and real-world hammering – we've learned a thing or two about load transfer, active framing and the importance of using only the most top-shelf materials. Editors note: Just last week, in the local market, I ran into our buddy Sam Cox. 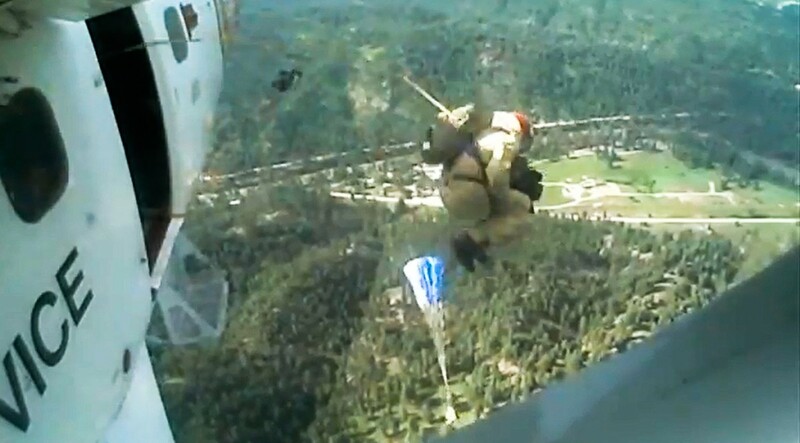 He’d just finished PT, and was within weeks of returning to McCall for another season of jumping out of perfectly good airplanes to swing a tool at the dirt ringing fires of all sizes. Fire season has its rhythms, and this year’s rhythms have begun. The jumpers in AK are likely at it already, rookie training at least, and jumpers in the lower 48 are making their way back to jump bases. The Hotshot crews have done their hiring, and some, in the Southwest, have come on the boards already. In California, there’s virtually a year-round fire season, but the big ramp-up will commence in early May. It’s reliable, Fire is, though severity does fluctuate. Just like every year, there will be a snowstorm, every year, there will be a fire. This season could be on the high side of severity, but we won’t know the end of that story until the snow flies next winter. The following footage is from Lane Lamoreaux, who jumps out of McCall with Sam. Before the 2010 fire season our repair guy retrofitted a stock Hot 3 for jumping. It was fairly straightforward: a few of the right buckles, seamed into the right places. Lane’s been exiting the aircraft with it ever since. Sign up for the MYSTERY RANCH email newsletter and receive exclusive access to new packs, special deals, and updates from the Ranch.